Whale One will give you the ultimate adventure as we take you along for a series of great cruises, each offering specific and distinct experiences that all make for a great day out! Join us on the search for the magnificent humpback whales during their Winter migration period to breed and mate off the Queensland coast, relax and enjoy the comfort with a drink while taking in the stunning views of the Sunshine Coast's beautiful sunsets on our aptly-named Sunset Cruise as the Glasshouse Mountains tower in the distance, grab your rod for a day of deep sea reef fishing aiming to catch many of the various popular local species, or simply chill out on one of our scenic cruises as we show you the best of the canals and other waterways of the Mooloolah River. With so many cruise options to choose from, there is definitely a great gift here to suit one and all! 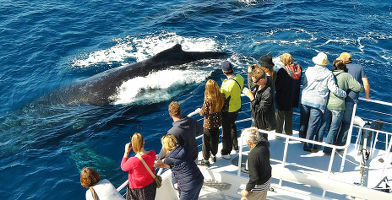 This gift voucher will allow them to get up close to migrating Humpback Whales off the Sunshine Coast. Buy a cruise gift voucher online & gift instantly. 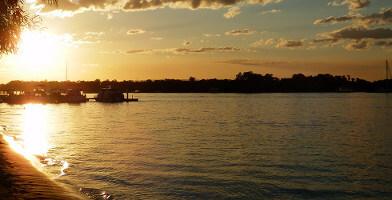 Gift a sunset cruise around the Sunshine Coast for that next special occasion. A beautiful & scenic gift for the Sunny Coast-loving friend in your life.